In the 1990’s, the former head coach of the Atlanta Falcons Jerry Glanville coined the phrase ‘Not For Long’, referring to the National Football League. Glanville spewed this statement as he was berating a first-year NFL official who was recently promoted from the college ranks. Now, with the NFL’s next man up mentality, the ‘Not For Long’ phrase has taken on a new life of its own. Unless you are sure-fire Hall of Fame talent like quarterback Tom Brady, or kicker Sebastian Janikowski who are both in their 19th seasons, a player’s longevity is short-lived. The Statistics Portal shows that an average NFL career lasts only a little over three years. Even though the NFL reached $14 billion in league-wide revenue, The Statistics Portal also reported that the average player salary was around $2.5 million. Even though the NFL known as being the cash cow, they are also well-known for being cheap when it comes to paying players. NFL contracts do not come fully guaranteed. This is the reason why some players hold out. Players want to be paid what they are worth. Le’Veon Bell, the versatile playmaker for the Pittsburgh Steelers, received heavy backlash from fans and teammates alike when he initially decided to hold out this season. Bell is doing so in hopes of a more lucrative deal. Seattle Seahawks defensive back Earl Thomas initially was going to hold out this season as well. After deliberating, he decided to rejoin the team, hoping to drive up his market value on the field. Unfortunately, in the Seahawks’ fourth week of NFL action, Thomas suffered a season-ending injury. After breaking his left leg, Thomas’ was carted off the field, giving the middle finger toward the Seahawks’ sideline. The future Hall of Famer’s chances for a huge payday is now looking bleak. 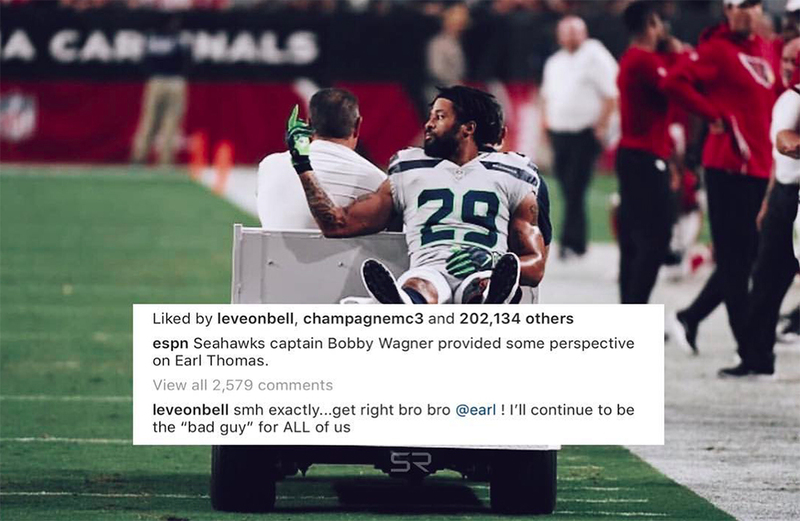 Bell spoke out in favor of his decision and in Earl Thomas’ defense. The business acumen of the NFL player is changing. Players entering the league understand that their time in the NFL can be short. If they get injured, it is nothing for an organization to find a replacement. Also, players also know that the NFL has alligator arms when it comes to reaching in their deep pockets to pay them. Now NFL players are stepping up their hustle and finding different ways to generate revenue. Besides endorsement deals, athlete’s are using their own likeness to bring in the green. Over the last decade, we have seen a rise in athlete driven media. There has been a growing distrust between athletes and media outlets. This is due in large part to athlete’s believing that the media doesn’t tell the full story, wanting to add their own spin for more views. Nevertheless, we are starting to see more NFL players who are entering the league more focused on their brand. Athletes like JuJu Smith-Schuster, Derrius Guice, Tyreek Hill, Jamal Adams, and more have created YouTube channels so fans can view them as people first instead of just football players. Brand awareness is the key to making your money stretch in the NFL. Athletes having their own platforms in place will allow fans to be exposed to a different side of their favorite players. Take a look at Smith-Schuster for example. Earlier this year, Smith-Schuster captured the hearts of the Gen-Z population with his affinity for Fortnite. With his growing popularity of Fortnite content, he was able to partner with FaZe Clan. Teaming up with one of the best eSports organizations in the world allowed the Steelers receiver to sell his own merchandise. His infectious personality captured through his YouTube channel, JuJuTV, has positioned Smith-Schuster as one of the most likable athletes of the Gen-Z crowd. He’s been featured in Pizza Hut and Madden 19 commercials trying to find his next touchdown celebration. His hard work both on and off the field continues to speak for itself. Over the summer Smith-Schuster inked a six-figure sponsorship deal with the gaming division of Kingston Technology Company, HyperX. Expect to see Smith-Schuster in HyperX headgear and apparel during live-streams, marketing campaigns and fan events. While the younger faces of the NFL are continuing to make strides in athlete driven media, the OG’s like Marshawn Lynch and Tom Brady have used their platforms to take their content to another level. With the successes of Marshawn Lynch’s Beast Mode and Tom Brady’s TB12 Sports, they are not just inking endorsement deals. They are growing empires. Even Tom Brady, who many have crowned as the GOAT, is establishing his brand outside of football. With the recent success of the TB12 Center, a place for nutritional wellness and athlete development, Brady has no worries while he is playing on the field. He knows he has an identity outside of football that will still keep the checks rolling in. Not to mention, he launched his own content platform, Religion of Sports! Brady even has a mobile app of TB12 so those who can’t make to the gym can still follow along with specialized workouts. His hustle does not stop there. TB12 even teamed up with The Purple Carrot and developed TB12 Performance Meals for those wanting a change in eating habits. Marshawn Lynch continues to stay relevant with the culture. His pure heart for the game and for humanity is why we love ‘Beast Mode’. In 2016, during a segment on Ian Rapoport’s The Ian & Puck Show, the NFL Network reporter suggested that Lynch had not spent a dime of the NFL money from his player salary. At the time, Lynch had amassed over $49.7 million in career earnings. Essentially, one could say he living off his many endorsement deals. Pepsi, NIKE, Progressive… the list goes on. In 2017, Marshawn Lynch teamed up with the Bleacher Report to launch his show No Script, which can be seen on Facebook Watch. The show gives viewers a chance to get to know Lynch beyond the gridiron. You see him in a more playful light who is tune with his community. 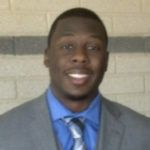 He’s captured living out his dreams while still giving back to the community. To keep the grind going, Beast Mode also has his own clothing line. Coined Beast Mode Apparel, Lynch has his retail stores located in Seattle, WA, Oakland, CA, and Las Vegas, Nevada. Even though the career in the NFL is not a lengthy one, it is still imperative that players position themselves to win on and one the field. But while you’re under the shield that is the NFL, secure your bags while you can.